Herein follows an annotated list of the books I read in 2017. Not a Top 10 list, not limited to books published this past year, not even a list of recommended books (although it should be clear in most cases which books I do recommend). I’ve put an asterisk (or two) before books that I thought merit special attention or that in some considerable form or fashion stood out from the pack and/or changed my way of thinking. Please share your own reading lists and/or recommendations. de Botton writes, “It is not necessarily at home that we best encounter our true selves” and “What we find exotic abroad may be what we hunger for in vain at home.” He also quotes Pascal as having written, “The sole cause of man’s unhappiness is that he does not know how to stay quietly in his room.” He connects the seemingly contradictory dots between these two statements in his wonderful musings on the how and why of travel. de Botton pulls off the amazing feat of making you feel like you will never need to read Proust after reading this book, while simultaneously making you want nothing more than to dive into the original. 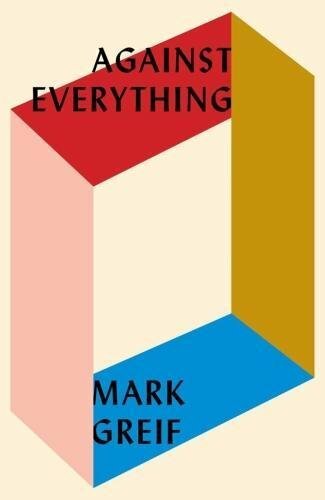 More than about Proust, however, this is a book about reading and literature, how to approach both, and by extension, a theory about the role of art in our lives. Hughes takes on a monumental task, exploring the history of Rome from its pre-Roman days through today, through politics, religion, the intersection of politics and religion (such an essential aspect of Rome’s history), as well as, of course, its art (Hughes is best known as an art critic). He is a great storyteller, bringing emperors, barbarians, popes, and the average Roman to life. He’s also surprisingly funny and sometimes downright mischievous, especially when writing about true believers. A dazzling, impressionistic history of Stalin’s reign of terror, in the greater context of Russian and Soviet history, woven through with an intellectual memoir of his father’s (Kingsley Amis) cohort and their relationship to Communism and the Soviet Union, as well as of his own posse of New Statesman-affiliated, New Left intellectuals (e.g., Christopher Hitchens, Julian Barnes). A witty, dazzling anti-travel travel memoir. Contains one of the single-most hilarious set pieces, about a nightmarish week in Norway. Along the way, Dyer takes the reader on erudite side-trips through Adorno, Schoenberg, Ornette Coleman and outsider art. Iyer writes about going deep within to nowhere as a path toward equanimity and contentment. Along the way he invokes Leonard Cohen, the Dalai Lama, James Turrell, and Abraham Joshua Heschel on the Sabbath. A gripping psycho-sexual thriller and also a literary game – note that the word “confusion” appears on almost every page, even in nearly every paragraph. If George Prochnik set out to write a kind of literary history or interpretation, he did himself ten times better in what is a monumental intellectual memoir. On its surface, he writes about Gershom Scholem’s life and history, especially with regard to Israel, Zionism, Jerusalem, and his abiding intellectual friendship with Walter Benjamin. Prochink also interweaves his own story – his “searching for Gershom Scholem,” which includes his own struggles with confronting the ideology and reality of living in Jerusalem and Israel. A masterpiece. Oren Moverman’s movie version (which led me to read Koch’s original novel) greatly improved on this somewhat pedestrian story by fleshing out an almost non-existent backstory. A new, wry fictional voice in a class-conscious work of social and cultural satire. Nothing about writing is revealed in this book other than what a self-satisfied prig is the author. I was pleasantly surprised by O’Neill’s poetry in this work (which I only read in preparation for seeing the brilliant production starring Bobby Cannavele at the Park Avenue Armory in Manhattan), with its shades of Shakespeare and Joyce. Let’s just say that I found this book to be about something other than what the subtitle indicates. Grief is a brilliant, thoughtful, and witty cultural critic, a Walter Benjamin for our times. A beautiful exploration of loneliness and its meaning via reflections in visual arts, with particular attention paid to Hopper and Warhol among others. A remarkable fusion of natural history – including a detailed study of octopus evolution and behavior, with a good dose of how evolution works, all pitched toward the lay reader – with philosophical speculation about the development of “consciousness” vs. mere autonomic reactions (octopi exhibit many hints of the former). Godfrey-Smith reviews the history of the philosophy of consciousness and reconsiders it in light of new discoveries of octopus consciousness and his own personal observations of octopus behavior. Simply brilliant. A book-length essay celebrating the creative freedom that stems from self-invention, especially in efforts to move beyond confines of class and culture. White Supremacist Punks on Dope. Including and especially Adolf Hitler himself (who was zonked on speedballs for the better part of a decade). Ohler suggests nothing less than that Nazi Germany was an entire nation hopped up on methamphetamine. A haunting, tender memoir of Ford’s parents. Or, more accurately, a search for his parents, for the truth behind what he remembers about them, and, ultimately, about the impossibility of really knowing the people closest to us in our lives. The most difficult and painful standup routine in literature. In which Robertson sets the record straight, correcting so much bad information that has been floating around since Levon Helm’s tendentious autobiography. Especially strong on his own childhood and early years as a working musician in Toronto and touring throughout North America with Ronnie Hawkins, on the way toward the coalescence of The Band.